Browns Gab - The Definitive Cleveland Browns Blog! The 2019 NFL Schedule is out – and Browns fans you can start to look at what trips you want to take and days off as well! Here it is – the complete 2019 Browns slate! Ogbah could be the odd man out when it comes to playing time in the Browns defense, with Olivier on one side, and Myles Garrett on the other. 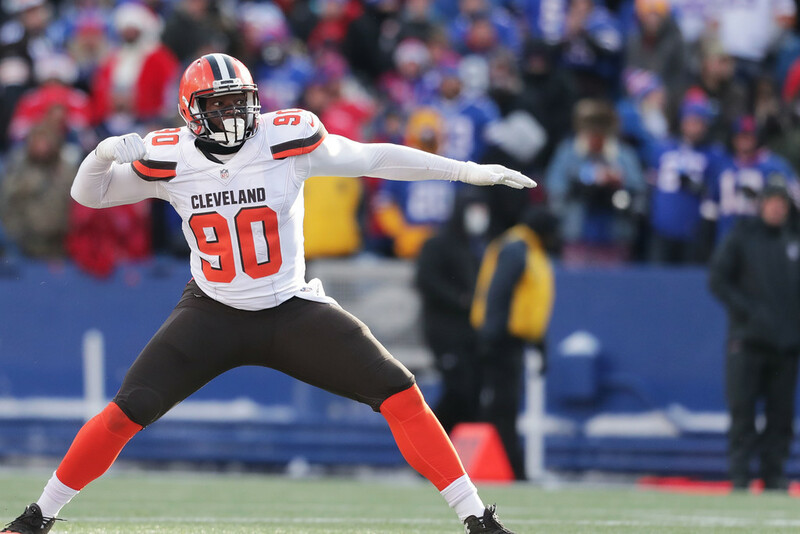 Last season the 25-year-old had three sacks with 40 total tackles, but also suffered a high ankle sprain in the 2018 season opener against the Steelers, and while he missed the next two games, he never was quite the impact player the Browns were hoping for. NJ.com reports that Ogbah, guard Kevin Zeitler and a third player were pitched to the New York Giants in a possible deal for wide out Odell Beckham Jr., a deal that NFL Network’s Aditi Kinkhabwala said the Giants ‘laughed’ at. 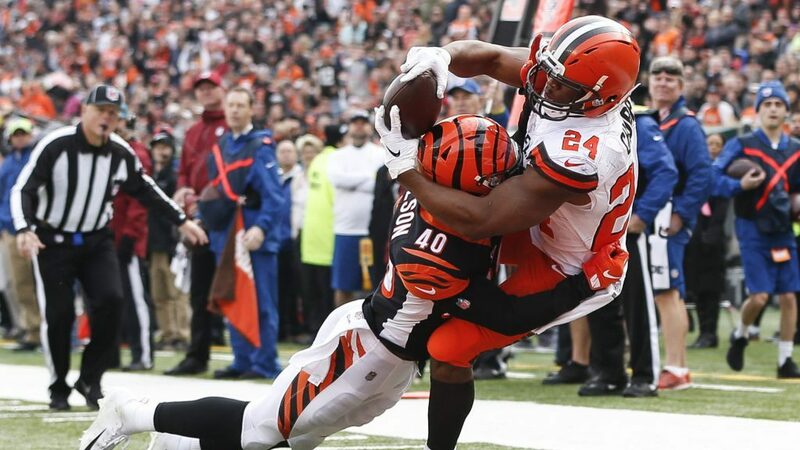 The Browns and Giants did wind up making a deal, as the Browns on Friday did send Zeitler to New York for Vernon, who is a player they are hoping with a change of scenery can have a big impact in 2019. As for Ogbah, if the Browns can get some possible suitors lined up for his services, it wouldn’t be a surprise to see him get moved as the NFL free agency period begins next week. The Browns have plenty of money to spend, and they seem to be at the forefront of a lot of rumors about addressing the wide out core for the team. 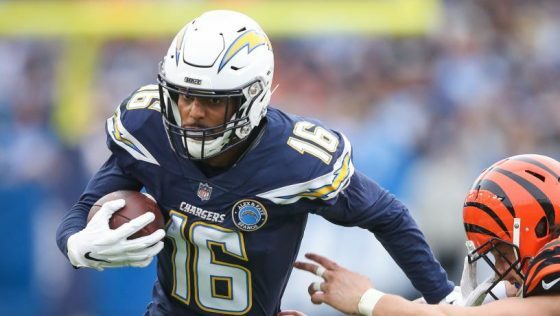 The latest rumor from Mary Kay Cabot of Cleveland.com says that the Browns will “be of strong interest” of Los Angeles Chargers wide receiver Tyrell Williams. Williams could get anywhere from $9 to $13 mil a season according to reports, money that the Browns for sure have to spend. The Chargers receiver ranks 36 in the NFL.com top 100 available free agents, and is the third rated wide receiver on that list. The Browns have a lot of money to spend this offseason on free agents, and they also have been at the forefront of a lot of chats about trade rumors. 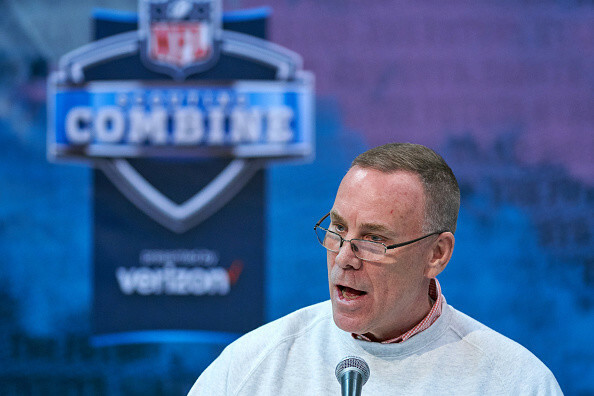 With GM John Dorsey running the show, there’s plenty of optimism that it’s going to be a busy offseason, and there’s going to be some big new faces joining the team that could put them over the top into the postseason. Today a couple Browns are tweeting out some rather ‘cryptic’ tweets in what appears to be the leading up to a or a couple of big moves by the team. Wide out Jarvis Landry, tight end David Njoku and cornerback Damarious Randall all on Tuesday evening tweeted out some rather interesting tweets that can be read in a variety of ways. With players names being bantered about like Odell Beckham Jr. and Antonio Brown as possible big players looking for new homes, who knows what the Browns could be up to? Do you think these players might have the answer? Only time will tell. The Browns made a late run and were in the playoff hunt in 2019, and now it looks like they are on the verge of being contenders in the AFC. NumberFire today came out with an interesting piece entitled “3 Value Bets to Win Super Bowl LIV,” and along with the Colts and Bucs, the Browns are on the list. Here’s what they had to say about Cleveland and their chances to win the big game next year. Never in my lifetime did I expect to consider the Cleveland Browns as a legitimate contender, but here we are heading into 2019 and things are finally trending upwards. Once Hue Jackson was finally fired, the Browns were able to finish the 2018 season 5-3 with a 8+ point differential. Over that span, Baker Mayfield threw 19 touchdowns compared to 8 interceptions. The rookie signal caller has brought optimism to the franchise for the first time in a long time. Since 1948, there have been 82 rookie quarterbacks who started at least 10 games. Amongst those 82, Mayfield finished first in passing touchdowns, sixth in completion percentage, sixth in passing yards and sixth in adjusted yards per pass attempt. This kid has a bright future ahead. Not only did the Browns hit correctly on Mayfield in the draft, they seemed to have cashed in handsomely with corner Denzel Ward and running back Nick Chubb. 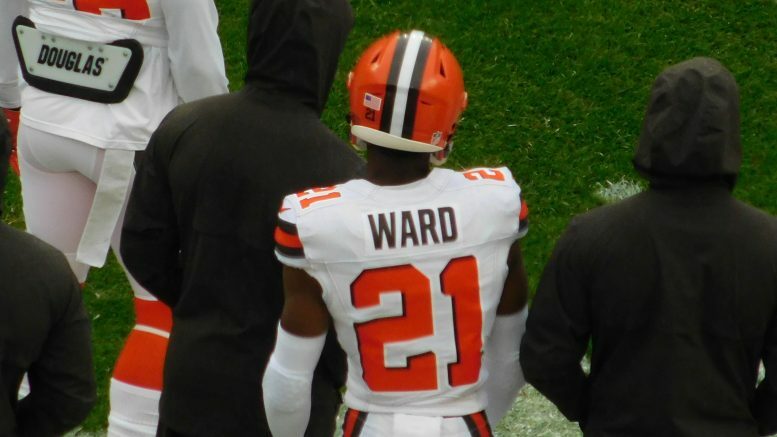 Cleveland had no issue putting Ward on the opposing team’s best wide receiver, and he played well prior to suffering some injuries late in the season. Chubb finished the season with over 1,000 scrimmage yards and 10 total touchdowns despite not being unleashed until a few weeks into the season (upon the trade of Carlos Hyde). While the defense improved last season, it still has a ways to go, but one thing that stood out was the aggressiveness, as evidenced by finishing second in takeaways with 31.With Cleveland having the third-most available cap space heading into next season, they should be able to invest in the defense, specifically on the defensive line alongside Myles Garrett. Having a potential stud quarterback and very exciting running back on rookie contracts will help the Browns address the rest of their needs. When we look at the AFC North as a division, the Bengals have brought in an unknown at head coach and haven’t made the playoffs since 2015.The Steelers have uncertainty of their own with the Antonio Brown and Le’Veon Bell situations, while Ben Roethlisberger only continues to get older. And while the Baltimore Ravens showed improvement last year, teams got to see Lamar Jackson start eight games and show no threat of being an efficient passer (58.2% completion percentage and 6.08 net yards per attempts). This gives the Browns a strong chance at the division title for the first time since ’89. Cleveland’s Super Bowl odds will only shorten up as they add key pieces throughout the offseason. Now is a great time to jump in and join them on the bandwagon toward their bright future. NFL Network’s Move the Sticks hosts preview the Week 16 matchup between the Cincinnati Bengals and the Cleveland Browns. 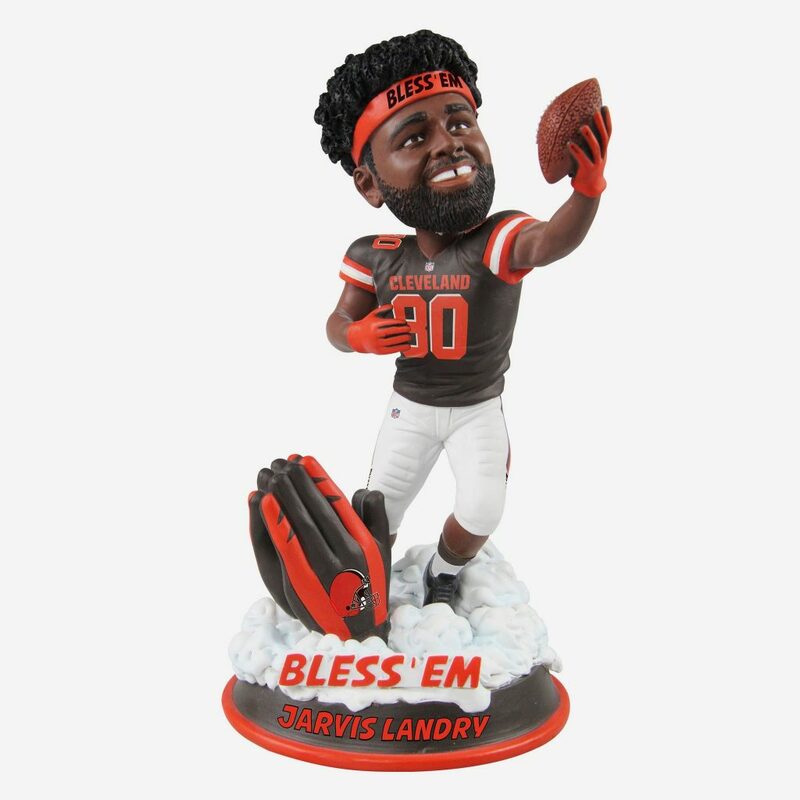 The Browns and Texans are set for a Sunday showdown in Houston this Sunday, and today we’re ready to see what you think of the game – and one lucky winner could get themselves an amazing Jarvis Landry bobblehead from Forever Collectibles! All you have to do is simply leave us a comment with your guess of the final score of Sunday’s battle down in Houston between the Browns and Texans! That’s it! If there’s more than one winner, we’ll chose one winner at random for this amazing bobblehead. Looking for the perfect Christmas gift for that Browns fan? Forever Collectables has your answer, and they make it easier than ever to get the best gift for that special someone on your Browns Christmas list this year with their awesome line of unique bobbleheads! There’s a ton to choose from, like Baker Mayfield on a bus at training camp, a special Baker and Landry bobble from their memorable two-point play against the Jets, this bobblehead is so cool it’s even got the final score on the base! If you’re into legends, they also have a great Jim Brown retired bobblehead! Don’t pass up this chance to order these awesome bobbleheads today and get them in time to play the perfect Santa! 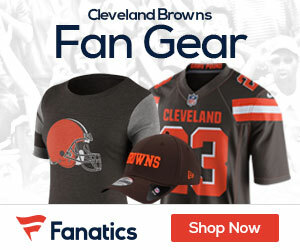 Click HERE to check out the entire Browns Collection – and if you’re buying for a fan of another team – no worries – Forever Collectables has you covered with EVERY team – click HERE to see their entire NFL line! Don’t forget to leave us your best guess at Sunday’s final for a chance to take home a sweet Jarvis Landry bobblehead! Good Luck! A lot of national talkers are still divided about what took place Sunday between Browns quarterback Baker Mayfield and former head coach Hue Jackson at the end of the Browns beatdown of the Bengals in Cincinnati. Mayfield has plenty of folks on his side, one of them being his high school football coach from Lake Travis H.S. in Texas, Hank Carter. TMZ caught up with Carter, you can read below what he had to say. Baker Mayfield’s H.S. 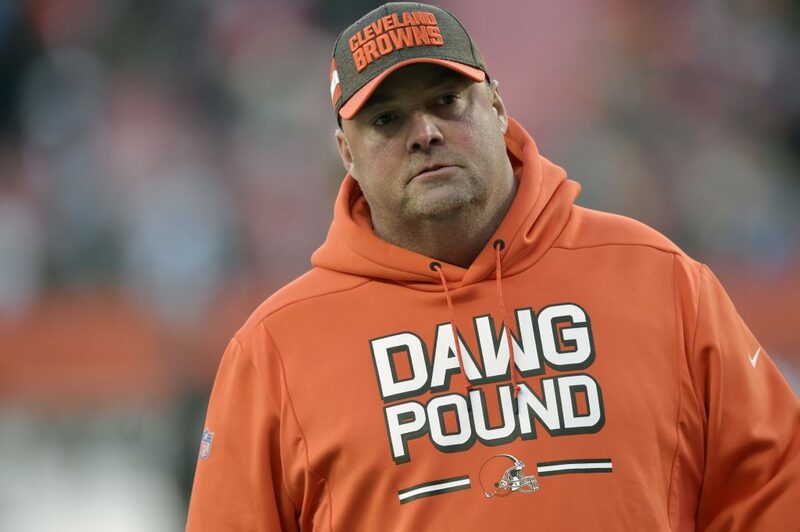 coach is going to bat for his ex-QB after the Browns superstar torched Hue Jackson … saying Baker was just doing what he thought was best for his team. Of course … Mayfield’s been met with a lot of critics after he went scorched earth on his former head coach THREE separate times, accusing Hue of being “fake” for joining the Bengals. Hank Carter — Baker’s old coach at Lake Travis H.S. in Texas — tells TMZ Sports Mayfield’s comments were just his way of standing up for his Cleveland teammates. 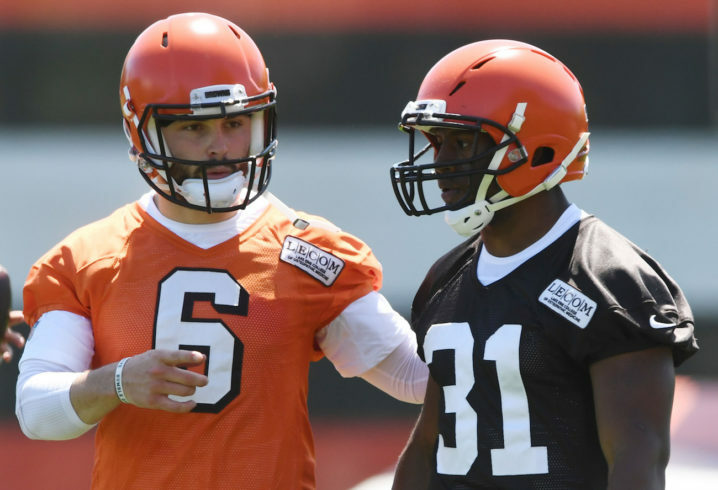 Guys like Jim Brown and Deion Sanders have disagreed with Baker’s response to the whole feud … but Hank says they’ve just got to get used to Mayfield’s straight-shooting approach. Bottom line … if Baker didn’t think Hue hurt his football team, the beef would’ve never gone down.